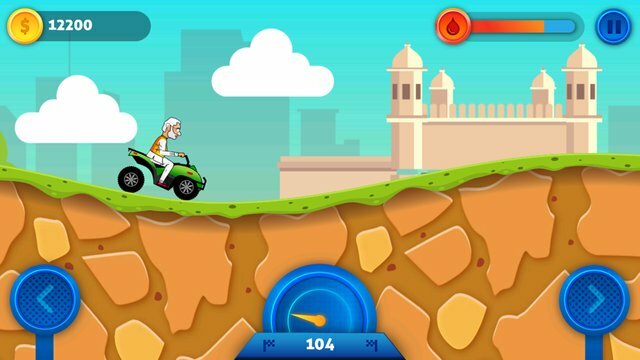 Modi : The Racer - Hill Climb Game. It is addictive & endless hill climb game for everyone and most entertaining physics based driving game. Modi : The Racer is totally free game for all smartphones & tablets. Let be free crazy driver inside you in this game and drive with ultimate speed and perform crazy stunts. Choose any vehicle from SUV, Quad Bike, Ambulance, E-Bike, F1 Race Car & many more to come in upcoming updates. Drive on different kind of hills like countryside, desert, rough and pointy hills presented as different countries in this game. 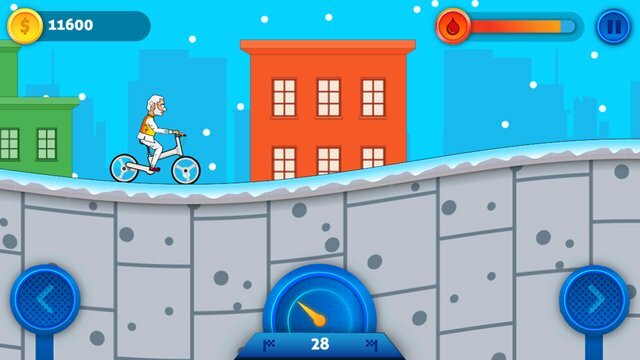 Ride on different hills with different vehicles, collect coins and bonus by performing crazy & insane stunts. Use coins to unlock different levels, vehicle and upgrade each vehicle to its maximum level to achieve maximum speed, smooth ride & air tricks. While riding on hills just look after player's head don't collide with ground and vehicle don't run out of fuel. - Different hill design with unique difficulty for crazy & endless game experience. - Five vehicle to choose from for your each ride. - Upgrades for each vehicle like speed, fuel, suspensions & flip control. - Awesome game graphics and smooth physics simulation for great game experience. - Developed & designed for all resolution of smartphones & tablets. For any report of issues you're having with the game, feel free to write us support@apptopper.org, it will be helpful for us if you include your device model and manufacturing company.